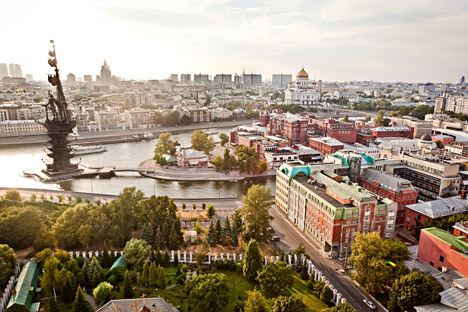 Russia has managed to implement several major economic reforms over the past year. Western sanctions notwithstanding, Russia has jumped to 51st place in the World Bank's new ‘Doing Business’ rankings. A number of key economic reforms, including making it easier for businesses to connect with the electricity grid, have helped Russia’s rise. Problems with cross-border trade, however, are holding Russia back from going higher. In spite of Western sanctions and a decline in its GDP, Russia has climbed 11 positions and is now ranked at 51 in the World Bank's latest Doing Business rankings, an annual global study conducted to analyse a country’s regulatory framework and laws that directly affect business. According to the bank's analysts, Russia managed a minor revolution by making it simpler to get an electricity connection; the Russian rank in this category shot up by a massive 114 positions. Russia has managed to implement several economic reforms over the past year. These have significantly contributed to advancing the country's rank in ease of doing business, the World Bank said in a supporting explanation for the rankings. In particular, it highlighted the ease of registering property (8th place in the world) and enforcing contracts (5th place in the world). The Doing Business global rankings have become a kind of KPI for the Russian government with regard to their importance for attracting investments. "The rankings are a guide for foreign investors," Valentina Saltane, one of the study's authors, said in an interview with the Russian business newspaper Vedomosti. In May 2012, Russian President Vladimir Putin set the goal of increasing the country's place in the rankings to 50 in 2015 and to 20 in 2018. According to this latest report card, the government is very close to meeting its target. How important are changes in methodology? In 2015, new indicators were added to five out of five indicator sets, and Russia scored well in four of them. For example, a new index based on reliability of electricity supply and transparency of tariffs was introduced. "We measure the frequency of power outages, the duration of possible outages, and how the monitoring systems work,” said Saltane, commenting on the early changes to the calculation. Russia received the maximum eight points on these indicators. By working on simplifying the grid connection procedure, Russia leaped 114 positions in the global ranking. The country rose 37 places on the ease of obtaining building permits. The number of procedures has not declined substantially, but a new index – an index of the quality of building regulation, and its implementation, was introduced, on which Russia scored 14 out of 15 points. Changes in methodology occur each year so that the rankings can more fully reflect the processes taking place in the countries, a press officer for the World Bank's Moscow office said. In 2014, for example, for 11 countries with a population of over 100 million people, the data of the second city was included in the calculation of the ranking, and St. Petersburg was added. In earlier years, calculations were done only based on the largest city. According to Andrei Nikitin, CEO of the Strategic Initiatives Agency, the improvement of Russia's position in the rankings cannot be explained only by a change in methodology. "If rank depended only on the calculation methodology, the changes would be the same at all points," he told RIR. The weakest spot of the Russian economy, according to the study's authors, is international trade, including the clearance of goods for export; on this indicator, Russia fell from 155th to 170th place. "Trading across borders is one area where Russia should continue focusing its efforts," Sylvie Bossoutrot, Program Leader, World Bank in Russia, wrote in her commentary on the rankings. "However, this will require joint efforts on the part of all stakeholders involved in the process, not only the Federal Customs Service, which has in fact been actively modernizing." As Valentina Saltane previously explained to Vedomosti, the methodology of calculating this particular index has changed significantly; not only transportation of goods by sea is now taken into account, but also rail and air transportation. In particular, the rankings evaluate for the first time the quality of customs clearance procedures – how the electronic systems are used, how long the load is on the border, and how much paperwork costs.